After coming out of the Saffron Trail I was happy with the fact I had managed to cover 70 miles in pretty good shape and felt OK at the end of it all. Having done a few ultra events I was thinking about the 24 hour type events that usually run in a loop of a few miles with a rest area where you can rest, eat and drink as you please during the 24 hours and the total distance accomplished determines the winner. There wasn’t anything that fitted within my work diary so thought of another way I could do a 24 hour run..the dreadmill!! Looking through my work diary a gap that looked OK was also coinciding with the UK charity night of BBC Children In Need. So I had a space in the diary, a plan of what I wanted to do now I just needed to get a local gym onboard. I approached 3 local gyms, Lord Butler, Just Gym and Wilburs all based in my local town of Saffron Walden. There was quite a delay in hearing back from them so started to ask around for help. 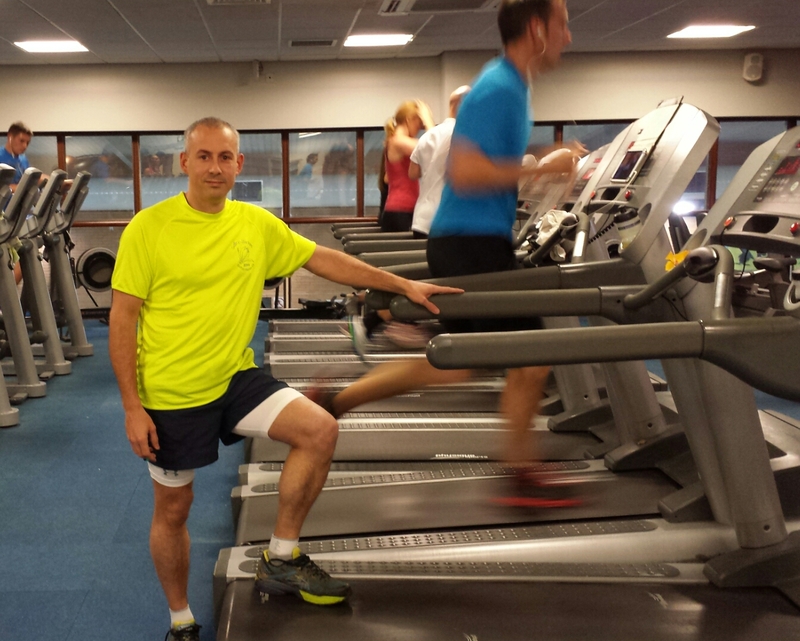 I had a couple of offers via the running club to use a home treadmill, I also contacted Ernie Jewson at www.wombatfitness.co.uk down in Chalkwell, Southend to see if he would be willing to help. Fortunately himself and Debbie were willing to help so I told them I wouldkeep them as a back up if things fell flat locally. I heard back from Lord Butler first and explained what I wanted to do and they set in motion some staff meetings to discuss my proposal. Just Gym within days also contacted me, I told them as Lord Butler had stepped in first I was giving them first refusal. Wilburs to this day have never replied to my email. Beckie Reynolds at Lord Butlers was really enthusiastic and hopeful it could go ahead, just one issue, they needed 2 members of staff to stay overnight. Over the course of a few weeks asking staff and meetings 2 members of staff, Alex and Holly volunteered. 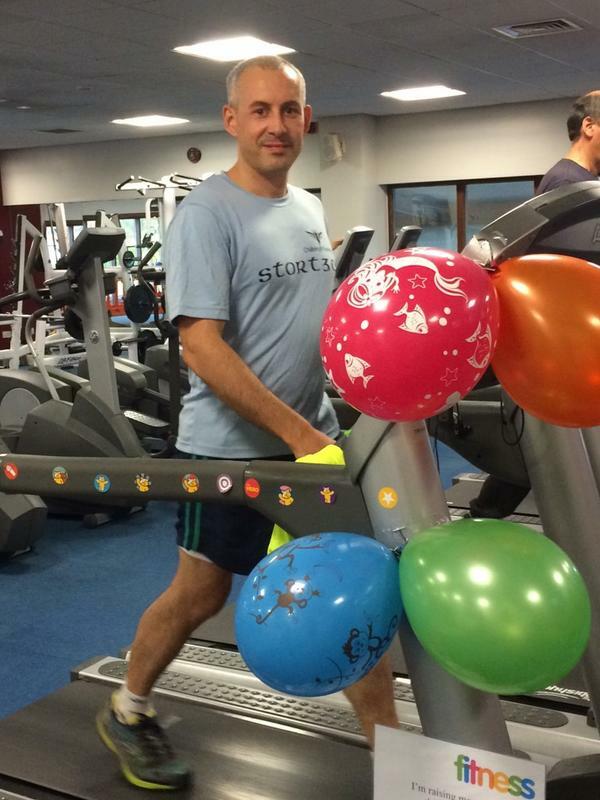 24 hours on a treadmill was all set to go ahead so I set up a just giving page and started to contact local media. The local area papers put small articles in, regional BBC Look East said they would be interested in either putting some pictures on TV or visiting with cameras if they had a gap in their busy schedule as well as tweeting various organisations and people about the event. My training had been leading me toward the Stort 30 in October so I only had a few short runs in the couple of weeks between the 2 events. I wasn’t too concerned with distance just the amount of time and throwing myself into another unknown. Staring at a wall for 24 hours, how hard would the treadmill be on my legs and tiredness. With events like this you can’t dwell on the unknowns too much you just need to be open minded and deal with any issues as they arise. Getting on towards midday my feet were killing me and becoming really painful and I was having to start taking more regular breaks. 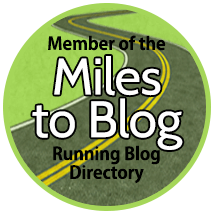 It was really frustrating as my thighs and calves felt fine and my energy was far better with the activity around me and my brain back on daytime mode…but I just couldn’t run as it was far too painful. Heading into early afternoon the pain in my right foot was extremely sharp and my energy had faded again. I was falling asleep on my feet at regular intervals and I still had some 6 hours to go. It was no longer about trying to attain a large ego massaging distance but grinding out the last few hours and not quitting before the full 24 hours were up. I was now down to grinding away at a literally painful 2 mph. minute by minute, hour by hour all I could do was keep pacing away and taking the occasional toilet break. With 22 hours done I was well and truly done for, I had nothing. I had to employ a 15 minute on 15 minute off strategy to see myself through the last bit. 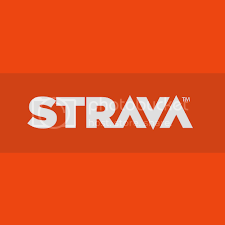 I got myself to 62 miles 1600 yards, gave myself a rest and spent the last couple of minutes doing the last 100 yards to rond it up to 63 miles completed in 24 hours. The challenge was easily the hardest thing I have ever done and far harder than the Saffron Trail from back in the Summer. The firmness and unchanging nature of the treadmill had destroyed my feet, the monotony was also crucifying. I certainly won’t shy away from future ultra events but I will NEVER do such a stupid challenge on a treadmill again and would actually advise anyone not to do more than 10k on a treadmill. The following day I couldn’t initially bear weight on my right foot and had to take painkillers to get myself moving. As well as being bruised it was sharply painful and knew it wasn’t good. 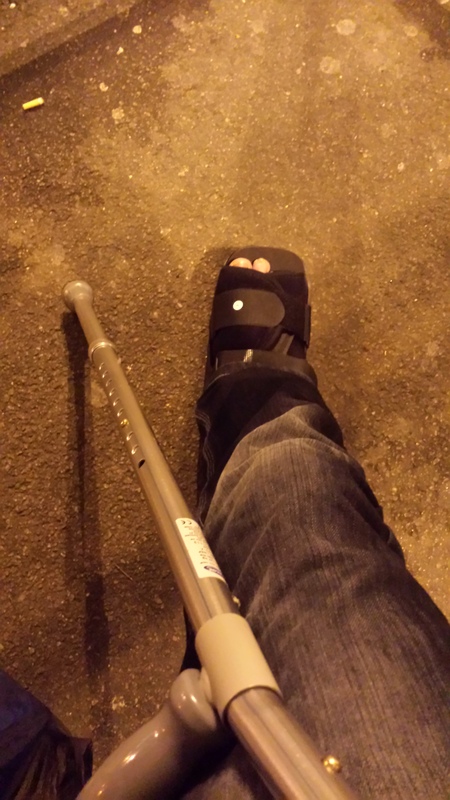 I booked myself off work and headed to A and E. After hours of waiting I was told I had a stress fracture of the Cuboid bone, they were really good at the hospital and I was provided with a plastic boot which would enable me to keep more mobile than plaster would thus losing less strength in my leg. I have to keep as long as the pain is too much to walk on. Once I feel I am comfortable to walk in regular shoes I can ditch the boot so although the full healing will be a few weeks I am hoping to get rid of it after this week. Treadmills are bad for your feet, no more! !